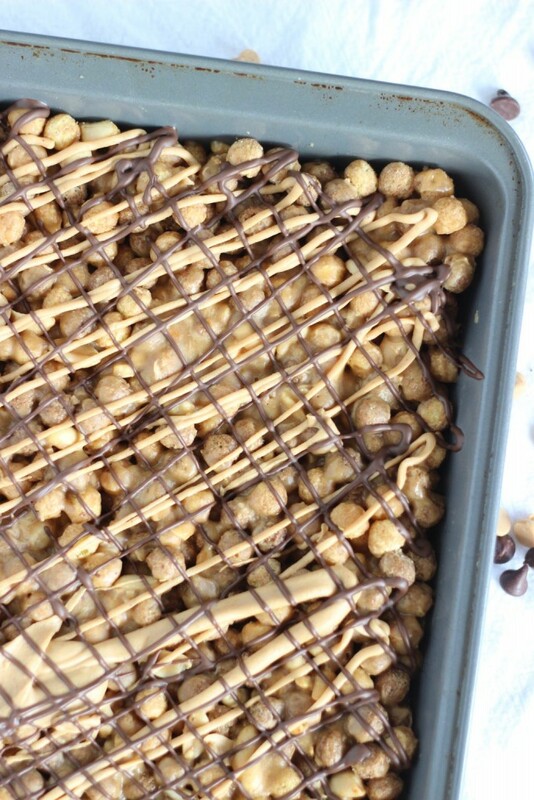 Reese’s Puffs cereal bars are for the true peanut butter lover in your life. 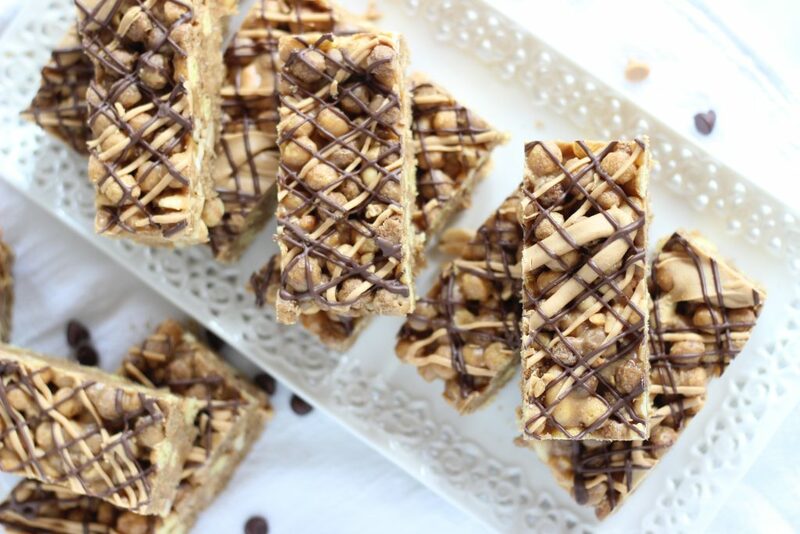 They’re crunchy, sweet, and no bake makes them SO easy! 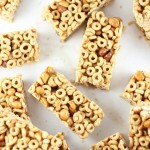 Ever since making these super popular Honey Nut Cheerio Cereal Bars, I’ve wanted to make a peanut butter version with Reese’s Puffs cereal, but I REFUSE to buy cereal if it’s not on sale. 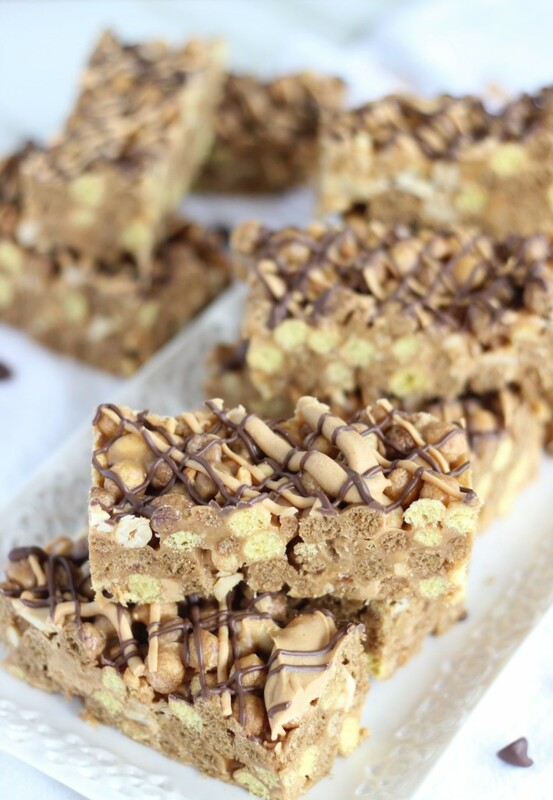 This Reese’s Puffs Cereal Bars recipe turned out to be months in the making. Not because it took that much work to develop it. 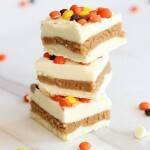 Nope, these bars are ready in minutes and quite foolproof. The recipe was not problematic. It’s just that I won’t buy cereal unless it’s on sale. I’m stubborn about it. Who’s with me? It took months. I guess Publix knows what a hot commodity they have in these Reese’s Puffs, and they don’t want to help me save a buck. 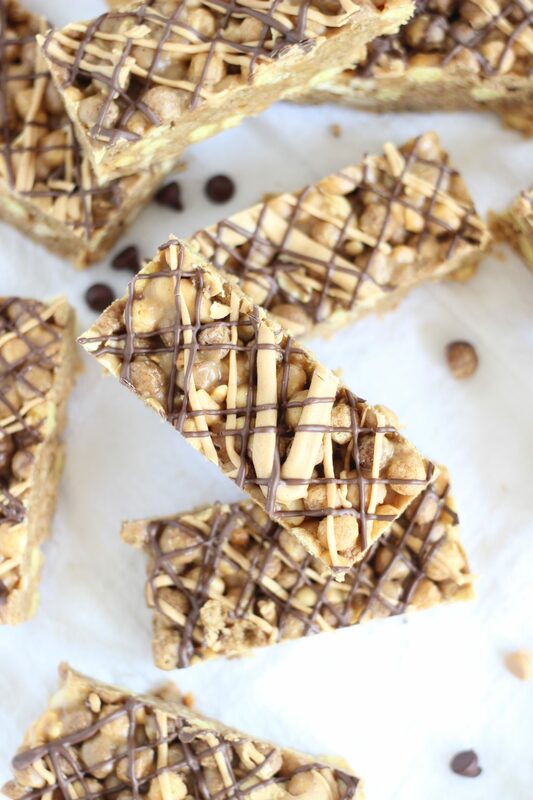 You know what else makes for great cereal bars, and ALSO doesn’t go on sale often enough? Peanut Butter Captain Crunch. Publix was working me over on that cereal too. A fabulous alternative cereal for these bars, but I kept missing that sale too. The major difference between the two cereals is whether you want chocolate. The Reese’s Puffs have chocolate puffs in addition to peanut butter ones, and the Captain Crunch is strictly peanut butter. Make it a game-time decision based on your mood? 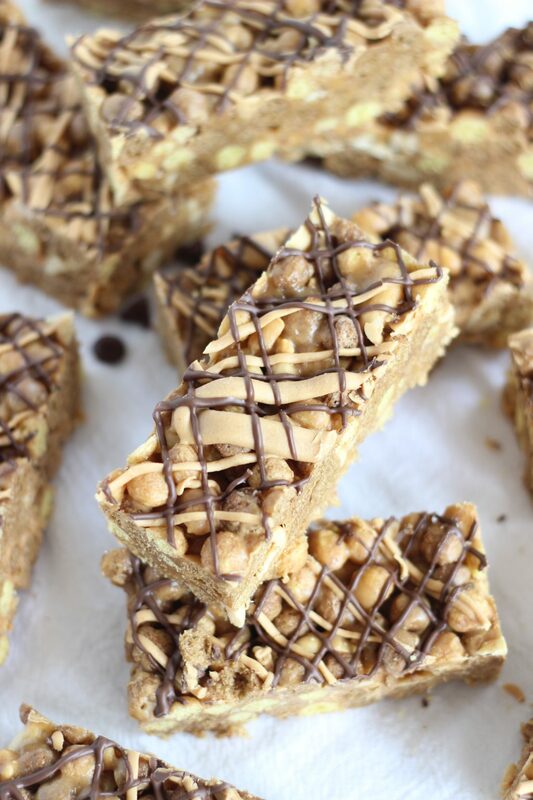 I know how many people are chocolate + peanut butter lovers out there, so these Reese’s Puffs Cereal Bars are catering to the masses here. 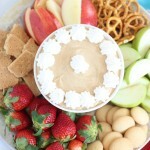 If it’s me, I honestly might stick with peanut butter only, but I’m more of a purist. Either way, you cannot go wrong. 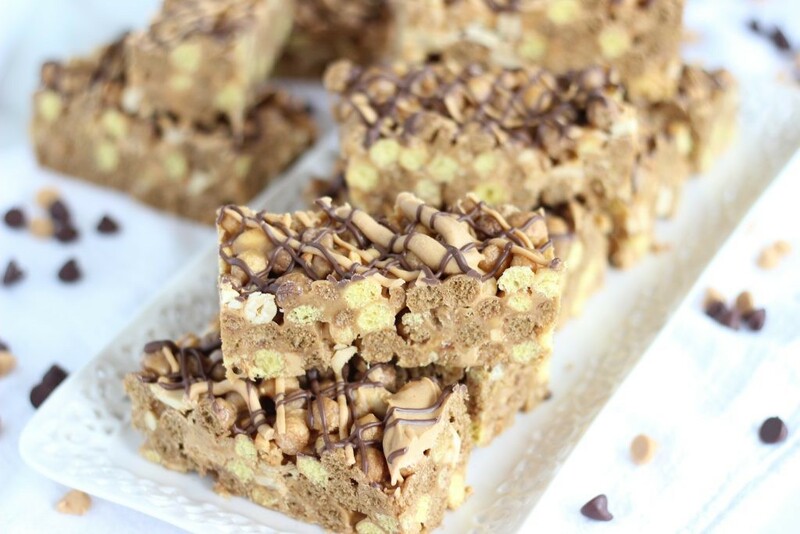 Featuring a full box of Reese’s Puffs, plus salted peanuts, Reese’s peanut butter chips, peanut butter, and lots of honey, these Reese’s Puffs Cereal Bars are sweet, a little salty, and packed with flavor. 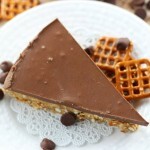 Drizzles of melted chocolate and peanut butter provide a sweet and delicious topping. 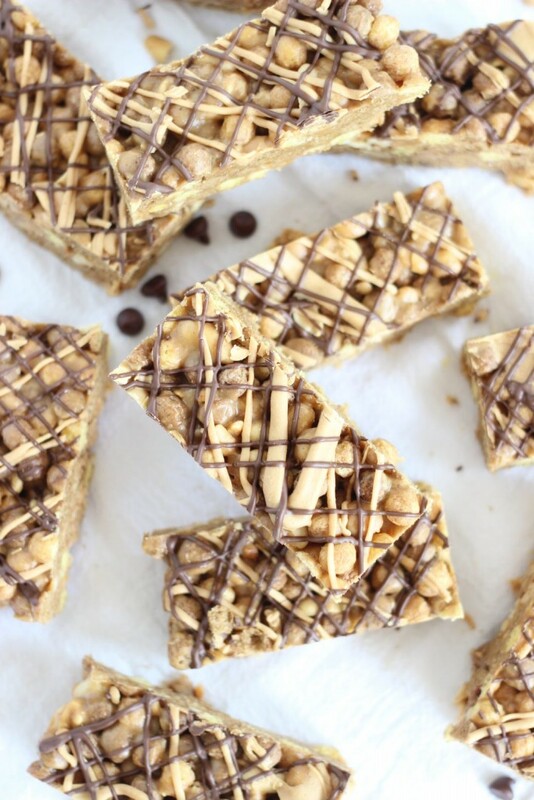 It’s an easy recipe with a short ingredient list, and these bars come together in minutes. 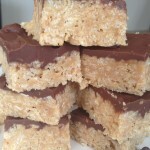 Great for breakfast or a snack on-the-go!